Prerequisites: Student must have a $26.95 computer Minecraft.net game account and at least 6 weeks of game experience on the computer version prior to enrolling in a course. 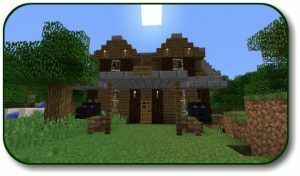 NOTE: If you have a Windows 10 computer, please be sure to buy the Java Edition, not the Windows 10 Version of Minecraft. The courses listed below will require parent participation of at least 1 hour per week. Please note that most of the courses in the 2nd – 4th grade section are appropriate for a young reader that has a parent who is willing to help them read the material. Time Spent: Your student will spend approximately 2 hours per week on their assigned work and Minecraft gameplay. NOTE: You are not required to start at the beginning of a series. This series of five courses is based on the engaging phonics program at TeachYourMonstertoRead.com, the groundbreaking game that makes learning to read fun. 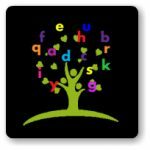 Each week your student will spend some time working on phonics skills. An optional at home game or activity will strengthen their understanding of the lessons from that week. Finally, an in game build will bring them into the Minecraft environment to engage their reading skills at every twist and turn of the map. Bring reading to life with this year long series of fun! 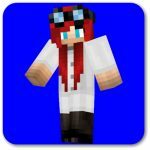 Do you have a student that is between the ages of 6 and 12 and is new to Minecraft or Minecraft Server gameplay? This is the perfect option for them. Your student will complete the school’s orientation course and then enjoy weekly lessons that rotate through science, history, and language arts. Weekly live events, mini games, and interacting with other students in the program will ensure that they are ready for a full academic course by the end of this experience.